Steve has been juggling for over 15 years and presents a high energy speciality act including amazing feats of skill and dexterity. After winning several major talent competitions he has performed all over the UK touring all of the major holiday parks for the last five years alongside other attractions such as Cadbury World. 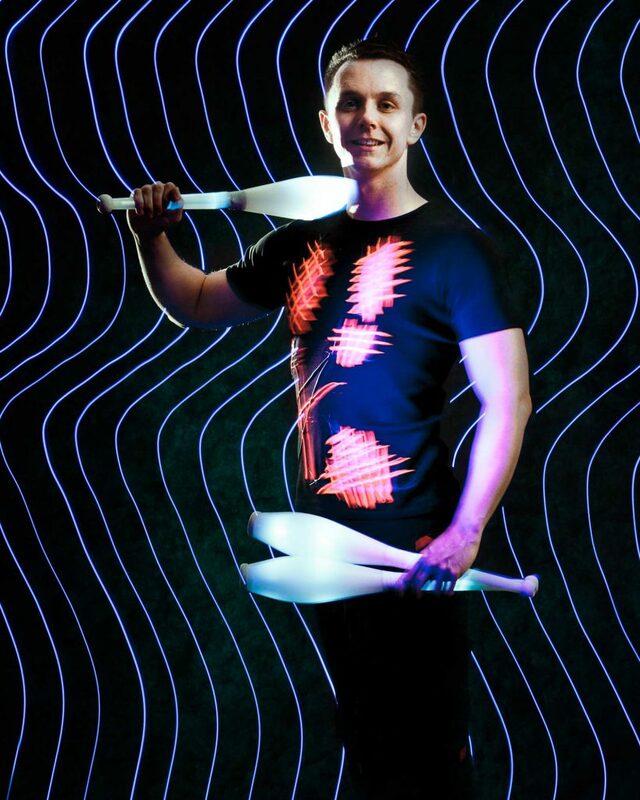 As one of the leading jugglers in the UK he combines a high technical level of juggling with incredible lighting effects where the props light up in the dark and change colour in time to the music leaving amazing trails and patterns that leave the audience amazed. Steve also performs at corporate events, hotels, casinos and has also appeared on TV several times including Britain’s Got Talent and Children in Need. One of the highlights of his career so far was when he was invited to perform for The Water Rats at the Grosvenor Hotel, Park Lane in London where he juggled for an audience which included Paul Daniels and many other stars. Steve gave Paul a lesson in diabolo after the show! He also teaches children circus skills in schools and entertained at TGI Fridays Sutton Coldfield for over 10 years. Whether its a street event or a cabaret show you want Steve can accommodate. 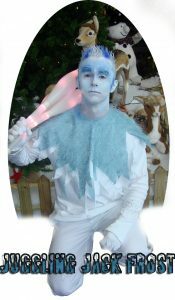 For a Christmas themed event Steve dresses as Jack Frost.